A second-hand shop in Stoke-on-Trent has been targeted by vandals twice in three days, reports The Sentinel. 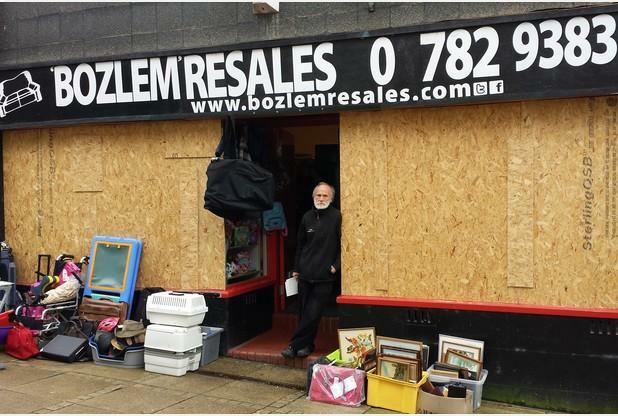 Bozlem Resales has now been left boarded up after vandals first attacked a large plate-glass window one evening, leaving a sizable hole and a significant cost to replace it, with another window being smashed three days later. If you run a business that is open to the public, it’s wise to make sure you have the correct level of building insurance or shop insurance to cover your property, as well as business interruption cover in case your business has to cease trading for a period due to fire, flood or criminal damage. The shop’s owner Stephen Emery, who has run the business for two years, is now calling for CCTV cameras to be installed near his premises on Brick House Lane. Mr Emery believes that excessive drinking in Stoke-on-Trent is to blame for the damage to his shop. Mr Emery said: "There are a lot of alcoholics around Burslem. I think it is them that did it. I think they have arguments and take it out on the shop windows. "I have to give the crime numbers to my landlord who will contact the insurance to see if I can get the windows replaced. Until then it is just boarded up. Business has gone down a bit since this happened."